Once again, the year was a busy and productive one for the team at Denbighshire Archives. Notable highlights were the successful events which we held here at the archive, which included our Open Doors event and our inaugural Cinema Night, which saw us screen the 2015 film, Suffragette, which was partially shot in the archive. 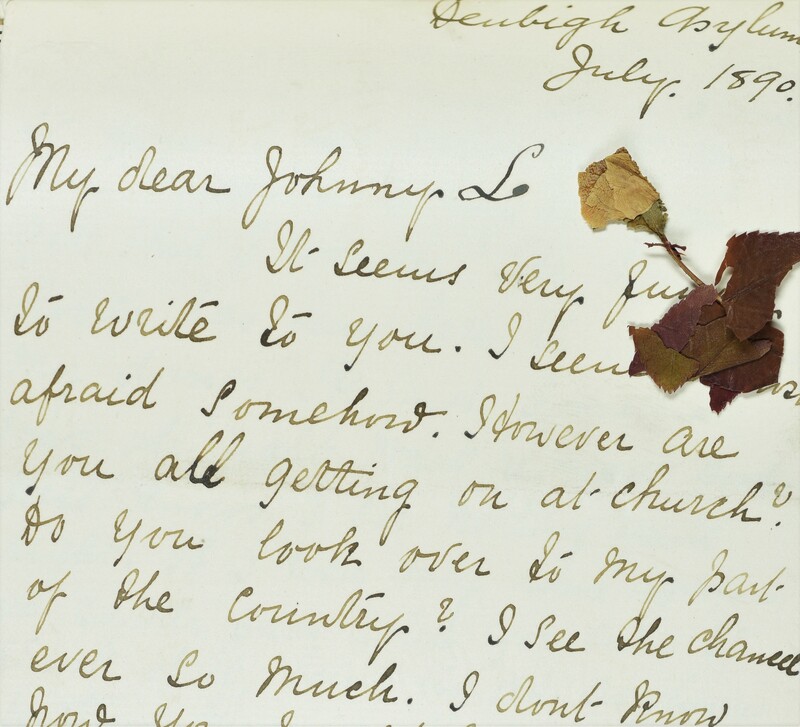 During the year the desire to work collaboratively with the other North Wales archive services has gathered pace, with a notable increase in the amount of joint-working between Denbighshire and Flintshire. This included a joint event at Rhyl Library which formed part of Rhyl History month, and a talk from our ‘Unlocking the Asylum’ project archivist, Lindsey Sutton, to Flintshire’s ‘Celebrating Flintshire Women Past and Present’ event held at their archive, in Hawarden. We have welcomed two new faces to the team this year, Kerry joined us in May, to provide maternity cover for Sarah, and Liz joined the search room team in July. We are pleased to announce that Sarah had a baby girl in the summer. 1356 people have registered on the website and we have had over 153,000 page views this year. We now have 90% of our catalogues available to search in full online. This year we have been focusing on adding our minor deposits (DD/DM). Our virtual volunteers are continuing to work really hard on these. 728 researchers used our office during 2018 consulting 2041 original documents. 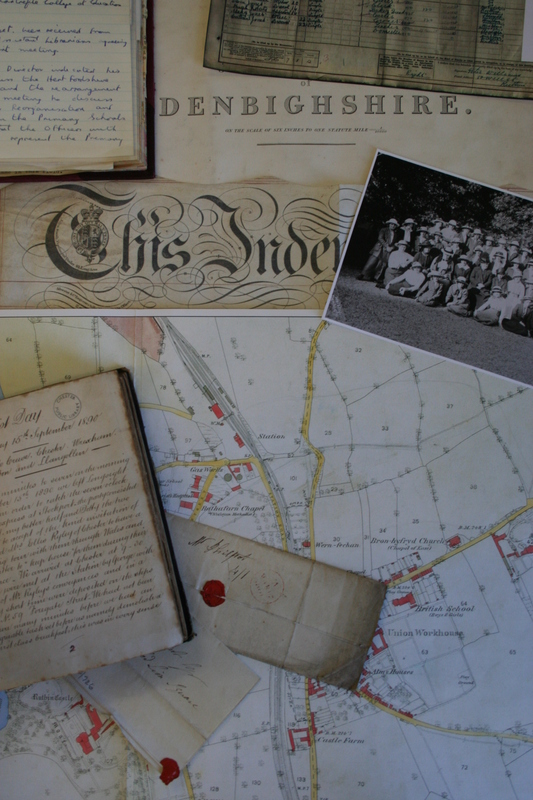 Family History has been the most popular topic of research this year accounting for 47% of our researchers. Local History was the second most popular accounting for 34% of our researchers. We have answered 891 enquiries by post, email or telephone, and our number of Facebook followers has risen to 876. We received a £4000 grant from Archives and Record Council Wales for a Preservation Assessment Survey. This will inform and highlight the preservation and conservation needs of the collections we hold. This was carried out by consult conservators Preservation Matters Ltd.
A total of 578 visitors attended our events during 2018. This included our Open Doors event in September, the Cinema Night in November, a visit from Ruthin Historical Society, WW1 exhibition at St Peter’s, Ruthin, a visit from Clwyd Arts Trust, and our annual visit from Glyndwr University history students. Box listing of the large collection of Clerk’s papers. Retrospective conversion of minor deposit catalogues. We also had Aron Roberts with us during the summer, who was here to gain some experience of archival work prior to undertaking a Masters in Archive Administration at Aberystwyth University. 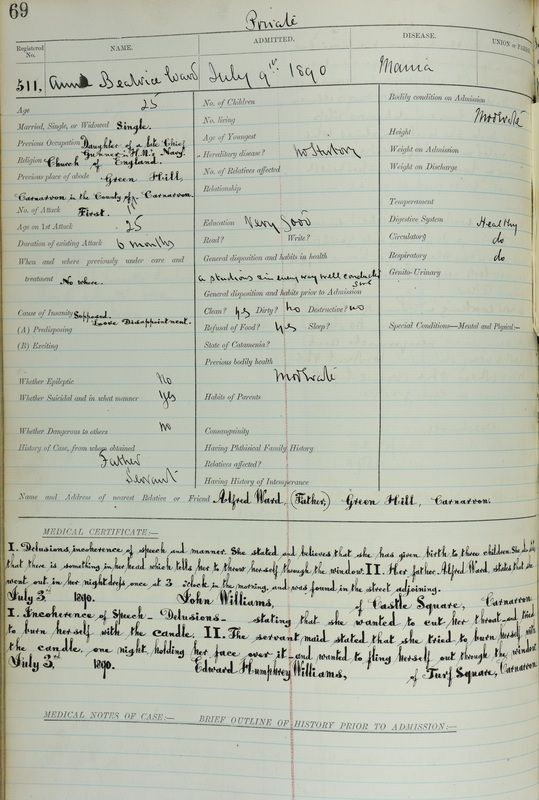 Whilst here, Aron assessed the condition and made improvements to the catalogue of our large collection of Building Control Plans for Colwyn Bay. During his time with us Aron has made a really positive impression on us all and we wish him well with his studies. In total our volunteers have contributed over 1040 hours of volunteer time during 2018. Once again, thank you to all our researchers and volunteers, we have had a very productive and busy year!